Ivan Ohlobystin is a Russian actor, director, screenwriter, playwright, journalist and writer, creative director of Baon company. By the way, he was a priest at the Russian Orthodox Church. Ivan was born on July 22, 1966 in the Tula region. The parents of the future actor had a huge age difference – almost half a century. Ivan’s mother was a student who had just reached adulthood. Her spouse’s children from previous marriages were much older than her. Perhaps, that is why the marriage broke up. When Ivan was still young, his father left the family. The boy was brought up by the young but strict mother. Later his family moved to Moscow, where the boy entered the Gerasimov Institute of Cinematography (VGIK). He studied together with many future leaders of Russian cinema: Tigran Keosayan, Bakhtiyar Khudoynazarov, Fyodor Bondarchuk, Alexander Bashirov, Renata Litvinova, Roman Kachanov, Rashid Nugmanov and others. Ivan didn’t finish his studies because he went into the army. In his youth Ivan was a rebel and joined bikers. Echoes of the biker subculture were forever in the image of Ohlobystin: even becoming a priest, he continued to wear a leather jacket. Also he has tattoos – hands and torso of the actor are covered with various images. Vladimir Zeldin is a Soviet and Russian film and theater actor, People’s Artist of the USSR (1975). 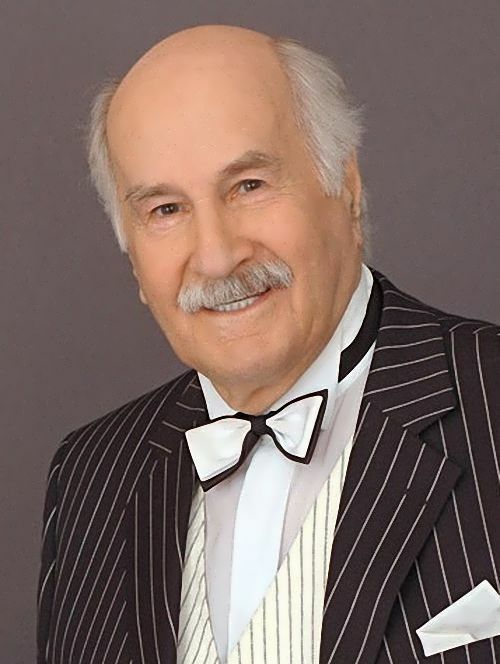 His name is recorded in the Guinness Book of World Records – he is the oldest of the living artists of the USSR, and the oldest working actor in the world. On February 10, 2015 he celebrated his 100th birthday. And even today you can see this great actor singing and dancing on the stage! Vladimir was born on February 10, 1915 in Tambov province into the family of a musician and a teacher. His father Mikhail Zeldin was a graduate of the Moscow Conservatory, trombonist and conductor. In 1918 he became a head teacher of the Music School. Vladimir’s mother was a housewife. Zeldin has a brother and three sisters. All children in the family were musically gifted and played various musical instruments. Vladimir played trumpet, piano and violin. The boy was actively involved in sports – skiing, skating, football, volleyball, tennis. In 1924 the family moved to Moscow. Vasily Livanov is a Soviet and Russian film actor, screenwriter, writer, film director, animator. You know, he is Honored Artist of the RSFSR (1981), People’s Artist of the RSFSR (1988). By the way, he became world famous as Sherlock Holmes in TV series directed by Igor Maslennikov, based on Arthur Conan Doyle’s novels. 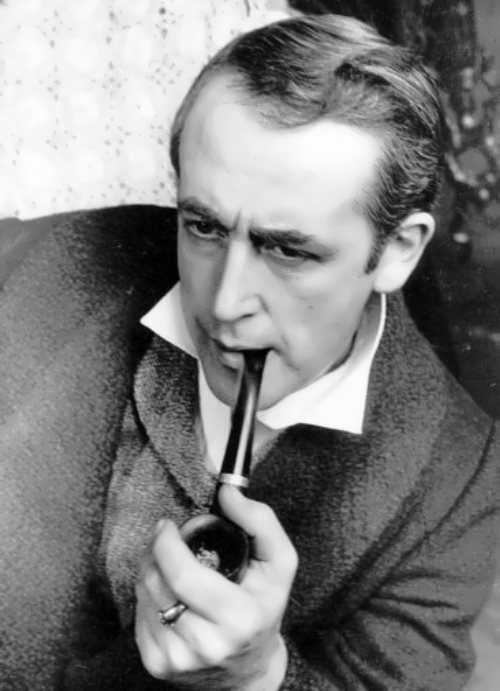 In 2006 Livanov was awarded the Order of the British Empire for the best classic screen image of Sherlock Holmes. The boy was born on July 19, 1935 in Moscow, USSR. He is a son of actor Boris Livanov and grandson of actor Nikolai Livanov (Izvolsky). His mother, Eugenia Kazimirovna was “one of the most charming women of Moscow”. As a child, Livanov dreamed of being a military man. Then he wanted to become a doctor, tamer or traveler. In 1954 Livanov graduated from the Moscow Art School and in 1958 from the Shchukin Theater School. His debut on the screen was successful: the young actor starred in the drama Letter Never Sent by Mikhail Kalatozov. The partners on the set were Innokenty Smoktunovsky, Eugene Urbansky and Tatyana Samoilova. There are a lot of foreign actors played Russian people in different films. Russian viewers are always very sensitive to how Hollywood and Europe show their fellow citizens, because “Russian spirit” is something unique. 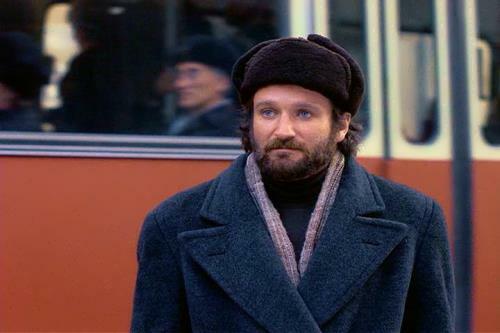 Let’s remember some colorful Russian characters in the western movies. The film shows the features of Soviet society – lack of goods, queues, censorship, and indoctrination of state ideology. 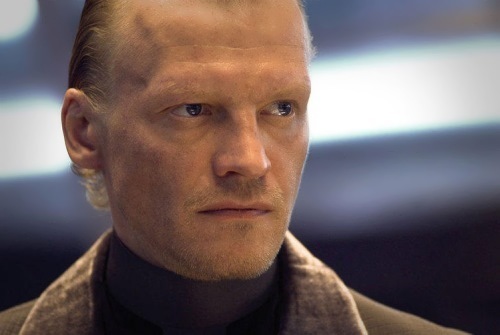 The talented actor played the role of a Russian musician who escaped during a tour in America. Alexei Serebryakov is a Soviet and Russian film and theater actor, Honored Artist of Russia (1998), People’s Artist of the Russian Federation (2010). The boy was born on July 3, 1964 in Moscow into a family of an engineer and a doctor. As a child, the future actor attended music school where he learned to play the accordion. At the age of 13 the boy was offered to play the role in the film Eternal Call. So his acting career began. By the end of the school, Alexei had played six main roles. Alexei graduated from the Lunacharsky State Institute of Theatre Arts. Then he worked as an actor in the Syzran Drama Theater. The actor gained fame after his roles in the films Fan (1989), The Sea Wolf (1990) and Afghan Breakdown (1991). But his most notable roles were in the film Tests For The Real Men and in the TV series Gangster Petersburg, in which his partners were Olga Drozdova and Dmitry Pevtsov. In September 2009 Serebryakov became a Lenkom Theater actor. He played in the musical Metro. Sofya Skya is a Russian ballet dancer, an American film actress and Mrs. World 2006 winner. Her real name is Sofya Arzhakovskaya. The beautiful girl was born on August 12, 1987 in St. Petersburg into a family of a dentist. Her grandmother Emma Shchetinina was a famous harpist and teacher, Honored Artist of Bashkortostan. The little girl liked dancing very much. At the age of ten, she joined the children’s studio Music Hall, where she began to earn her own money. At the age of 12 Sofya moved to Ufa, where she entered the Nureyev Russian State Ballet Academy. 16-year-old girl joined the Bashkir State Opera and Ballet Theatre as a Corps de Ballet member. You know, she participated in Swan Lake, La Bayadere, Snow White, Esmeralda, Raymonda. At the age of eighteen Sofya became the first Russian beauty ever won Mrs. World pageant. In total, she has won five beauty pageants, including Russian Grace contest. On June 17, 2005 Sofya opened the third Viennese Ball in Moscow. After the victory Arzhakovskaya moved to the United States to continue her studies.